To what can this matter be compared? To a slave who came to pour a goblet for his master, and he [the master] poured a bowl-full [of water] in his face. The falling of rain at the beginning of sukkos is a hint that Hashem doesn't accept their deeds with pleasure. 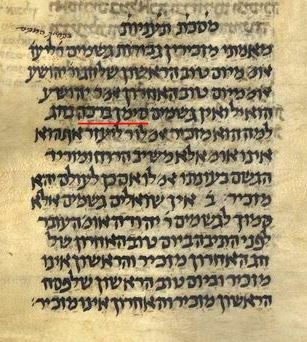 The Rambam implies that the "simman klala" of rain on Sukkos is only at the beginning of sukkos. Presumably he means since only the first night it is obligatory to eat in the sukkah. Other days are not obligatory to eat, so if it rains it's not as big a deal. From when do we begin to mention the power of [bringing] rain [in the Shemoneh Esrai], Rabbi Eliezer says, from the first day of the festival [Sukkot]. Rabbi Yehoshua says, from the last day of the festival [Sukkot]. Rabbi Yehoshua said to him [Rabbi Eliezer], since rain on the festival is nothing but a sign of a curse why should he mention it? Rabbi Eliezer said to him: I also did not say to request [rain] but to make mention, “He causes the wind to blow and the rain to fall” in its due season. He replied to him: if so one should at all times make mention of it. The Mishnah at the end of the second chapter of Sukkah already explained to you that rain falling on Sukkos is not a sign of blessing. The halacha is like Rabbi Yehoshua. How does the Rambam read this Mishnah? Why does Rabbi Yehoshua say it's inappropriate to mention rain on Sukkos, since it's a simman klala, if it's only a simman klala tlat the beginning? Why not mention it after the first day(s)? It seems that the question is predicated on the fact that the Mishnah in Taanit refers to the rain as a siman klalah. If R. Yehoshua's objection is that rain is a siman klalah for the entirety of Sukkot, then indeed one can wonder why Rambam explains the parable in the Mishnah in Sukkah as only referring to the beginning of Sukkot. However, Rambam's comments may be based on a different text. In R. Yosef Qafih's edition of Rambam's Commentary to the Mishnah there is an important difference in the text of the Mishnah in Taanit. Instead of ואין הגשמים אלא סימן קללה בחג it reads ואין הגשמים סימן ברכה בחג. This being the case, we can now explain that R. Yehoshua's argument in Taanit is not really based on the fact that rain is like a master pouring the cup on the servant's face. Indeed, that is only true on the first day of Sukkot, as Rambam indicates in his commentary to the Mishnah in Sukkah. R. Yehoshua in Taanit is instead making a different argument. He is saying that it makes no sense to ask for rain at any time on Sukkot because rain will prevent us from sitting in the Sukkah. Thus, although it is not akin to the master pouring the cup in the servant's face, it is still not a good thing for it to rain on Sukkot because it prevents us from getting the mitzvah. R. Eliezer's response is that he's not talking about asking for rain; he's just talking about mentioning rain. The only issue is that Rambam attributes this fact to the Mishnah in Sukkah, which might seem to indicate that he's assuming that the Mishnah in Sukkah is referring to the same level of negativity as the Mishnah in Taanit. However, perhaps we could read it as simply noting that, as we find in Sukkah, rain on Sukkot is bad because it prevents us from eating in the Sukkah. It just happens to be that on the first day it is especially bad because the first day has a stronger requirement to eat in the Sukkah, and therefore it is likened to a master pouring the cup on the servant's face. Whereas for the rest of Sukkot it's just a regular negative thing. This can be further supported by the following argument: The question here assumes that R. Yehoshua's argument to R. Eliezer was that we can't ask for rain on Sukkot because that would be a siman klalah. But wait a minute. How would it be a siman klalah if we asked for it? That would mean that God granted our request which would be considered a good thing. But according to how we explained it above, this works out. It might be nice that God is answering our request, but it's still a bad idea to make the request because it will prevent us from getting a mitzvah. Thus, R. Yehoshua's argument is specifically directed against R. Eliezer in light of R. Eliezer's other view. He is saying that it is contradictory to ask for rain on any day of Sukkot if you hold that there are obligatory meals on every day of Sukkot. Another alternative is that Rambam's reference to "the beginning of Sukkot" is not meant to contrast with rain that occurs on the rest of Sukkot. Rather, it is meant to contrast with rain that already began before Sukkot. Such rain is not considered like a master pouring the cup on his servant's face, whereas any rain that began on Sukkot — on any day of Sukkot — is likened to a master pouring the cup on his servant's face. Not the answer you're looking for? Browse other questions tagged rambam mishna sukkot geshem-tal-ruach . What are Hebrew manuscripts important to us for, today? Why is the Rambam so famous? Why don't we say “Misod” for Geshem and Tal? How does the Rambam understand the end of Shir Hashirim? Why does the Rambam change language?